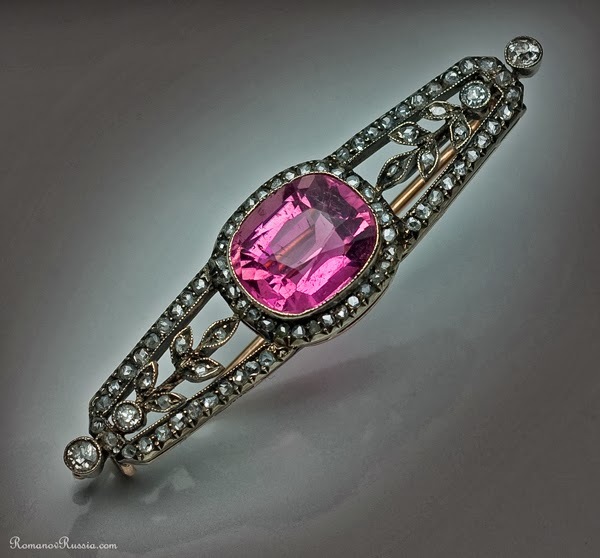 For this Friday I have another lovely Fabergé brooch tho show you! This one was made by workmaster Andrei Gorianov, sometime between 1908 - 1917! This Garland Style brooch is made of gold, and topped with silver. 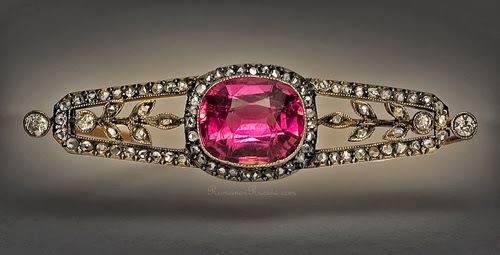 In the middle sits a pink tourmaline, surrounded by diamonds. The width of the piece is 2'' (5,2 cm), and the price for it is 6,500 USD. It's for sale at Romanov Russia! This has to be my favourite Faberge item ever Miss Meadows, looks so cool and glamorous, nearly perfect, in fact it is perfect!